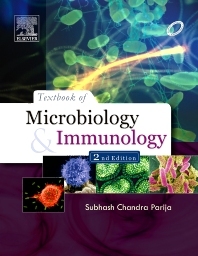 The second edition of the Textbook of Microbiology and Immunology provides a fully updated text on various aspects of microbiology and infectious diseases, which makes it the most authoritative and informative text in medical microbiology. It is a must have book for preparing MBBS examination as well as for preparing PG entrance test. Clear, succinct, and comprehensive information on various aspects of microbiology and immunology. Key Points highlighting the need to know aspects of the discussed topics. Tables and figures for better understanding. Case studies at the end of chapters for self-assessment. Special emphasis on emerging and re-emerging pathogens and antimicrobial resistance. Color photographs to aid in better understanding. Covers recent advances in molecular diagnosis and vaccines.